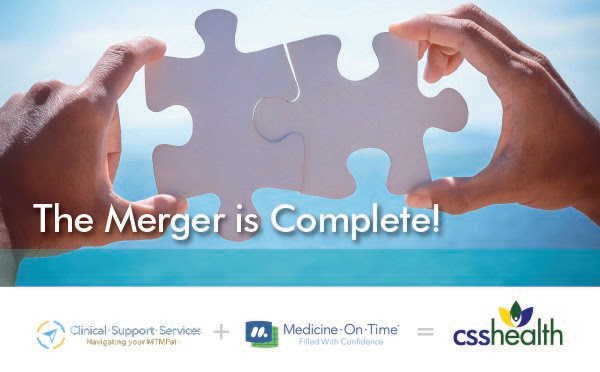 Medicine-On-Time has come together with Clinical Support Services, a leader in Medication Therapy Management, to form CSS Health. Going forward, we will still be your partner for leading Compliance Packaging. Additionally, we now are positioned to help organizations improve population health through truly comprehensive medication management. It’s a win-win combination that makes sense for us – and we believe it may make sense for you and your business, too. As always, we welcome the opportunity to talk with you about the best ways for us to work together.